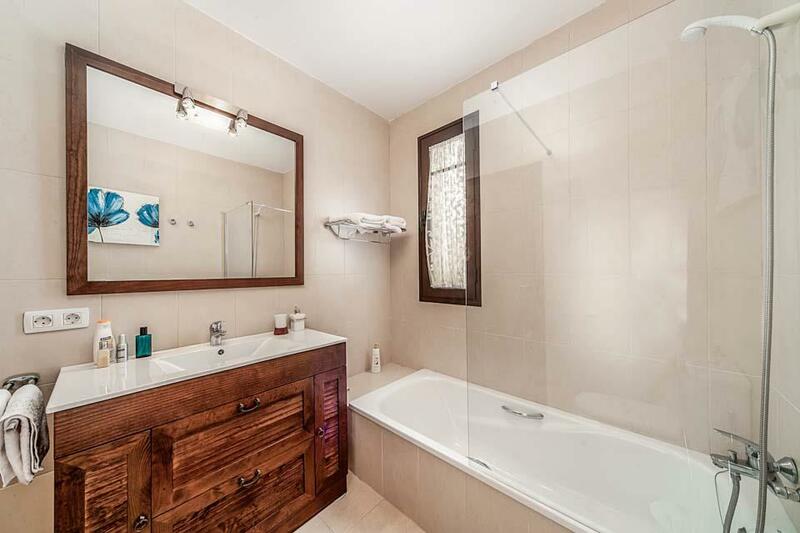 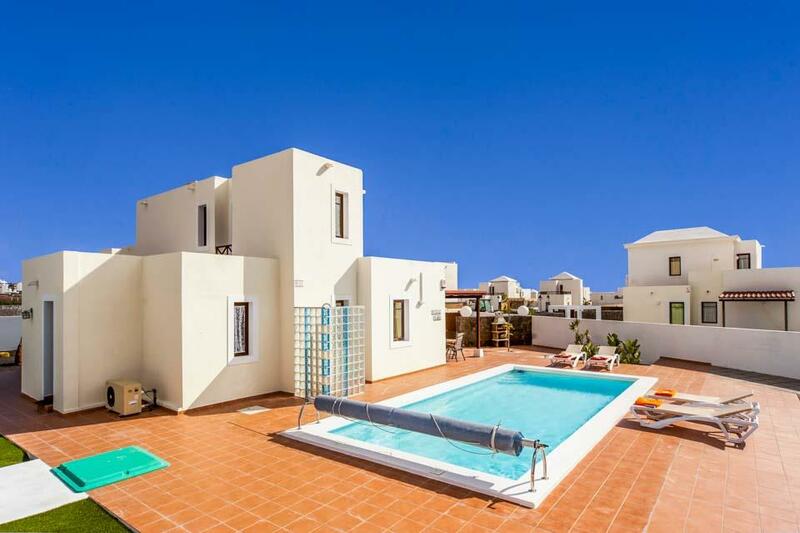 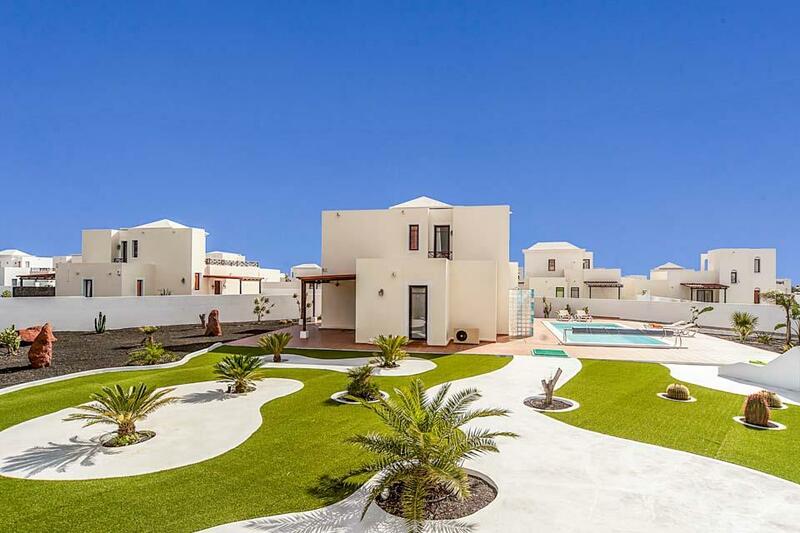 Villa Sara is a modern three bedroom detached villa set within a large and enclosed plot, with each room furnished in a modern style by its proud owner. 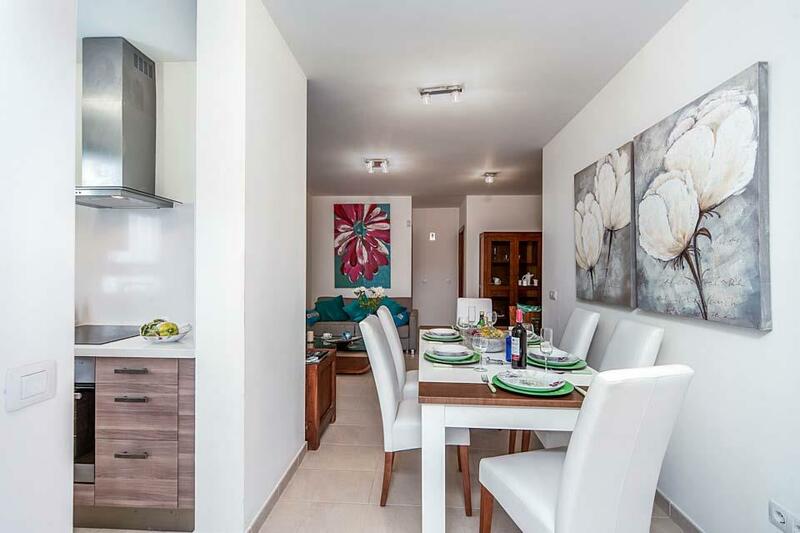 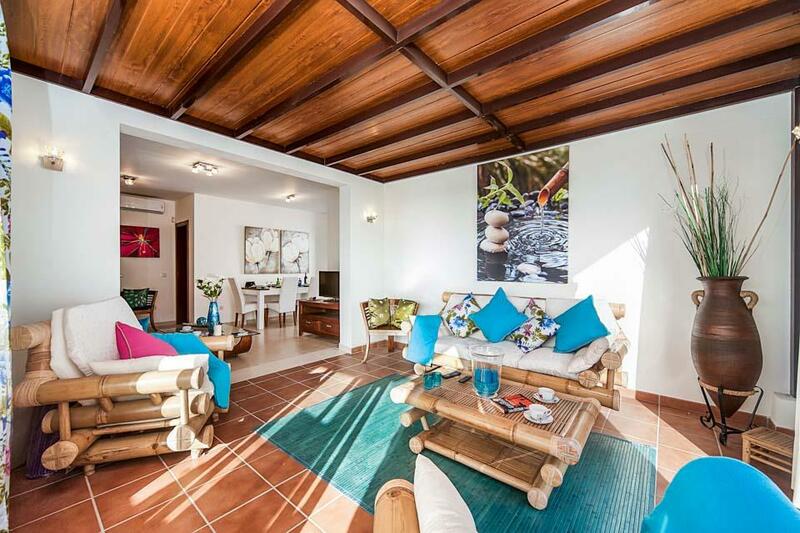 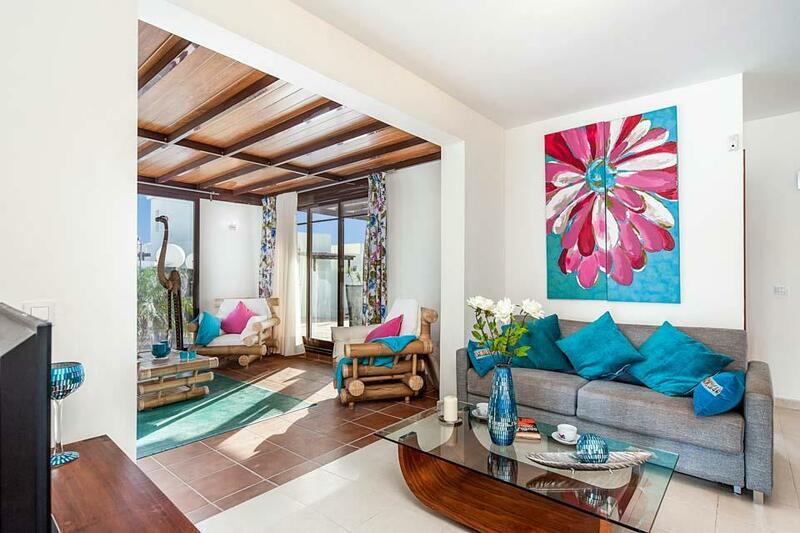 **Save up to 25% by arriving and departing on the standard changeover day**One of five stunning new villas to join the Solmar Villas collection in the Las Maretas urbanisation. 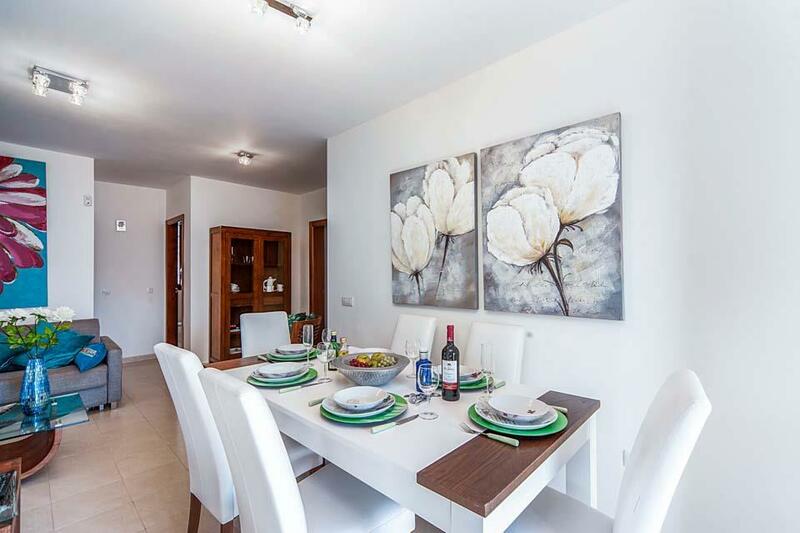 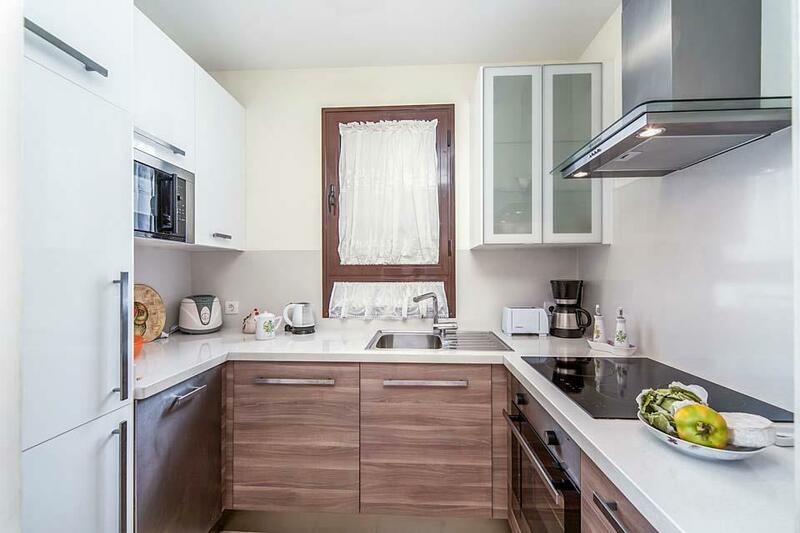 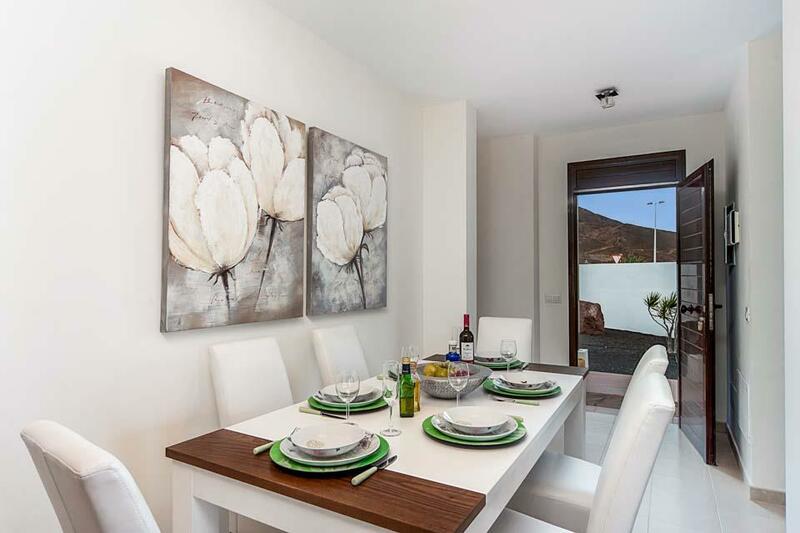 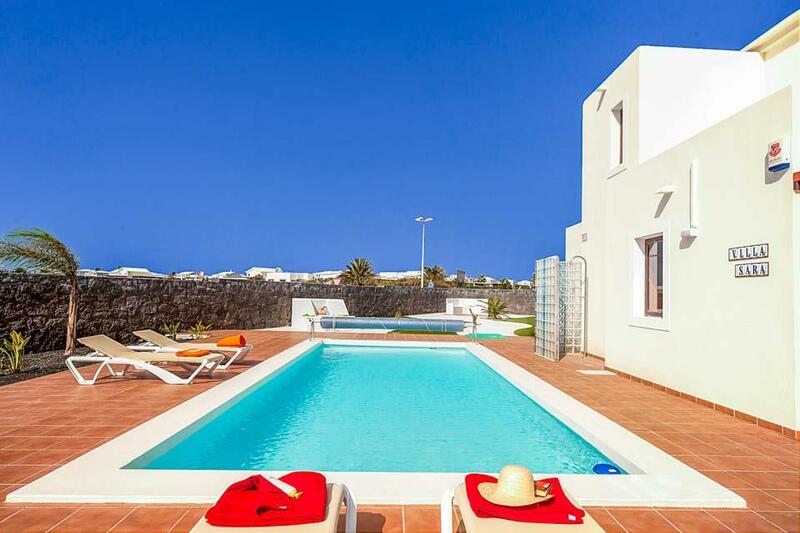 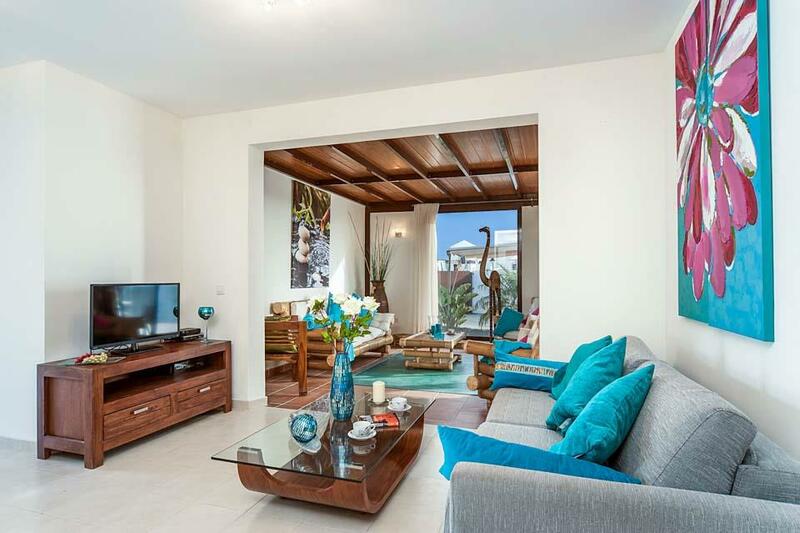 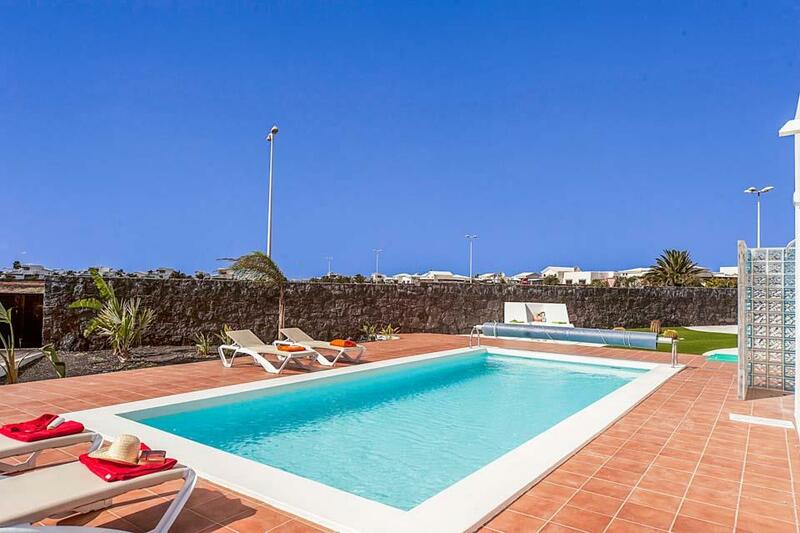 Villa Sara is a modern three bedroom detached villa set within a large and enclosed plot. 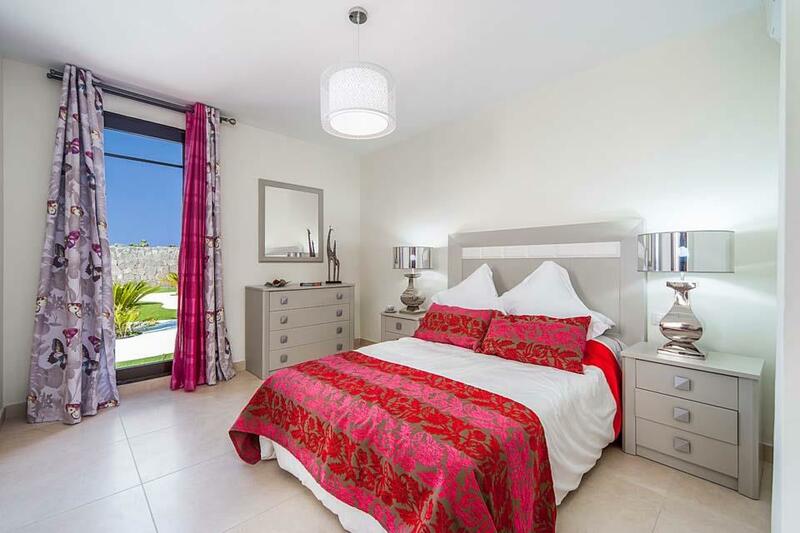 Each room has been thoughtfully furnished in a contemporary and modern style by its proud owner. 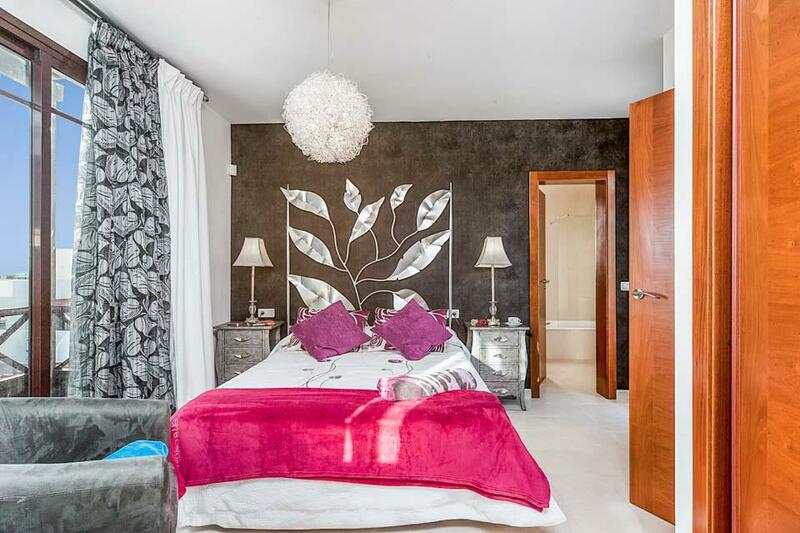 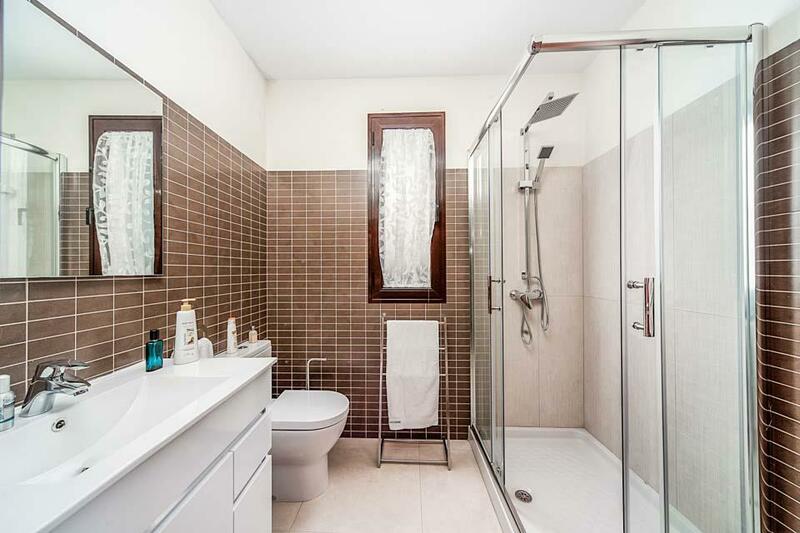 Set over two floors, the ground floor boasts a comfortable and open planned lounge with dining facilities, a fully equipped kitchen, a double bedroom with a shower room ensuite and twin bedroom and a separate shower room. 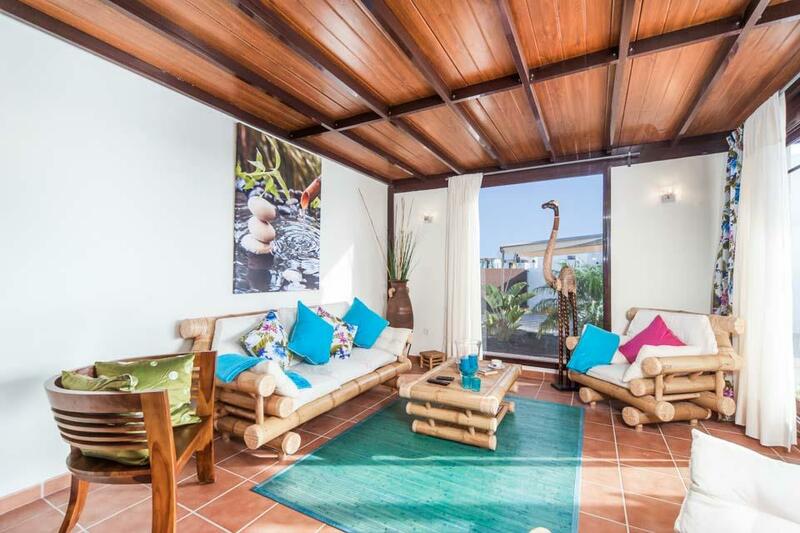 Stairs lead to the first floor, where you will find the master bedroom with a private bathroom ensuite and a private terrace offering sea views. 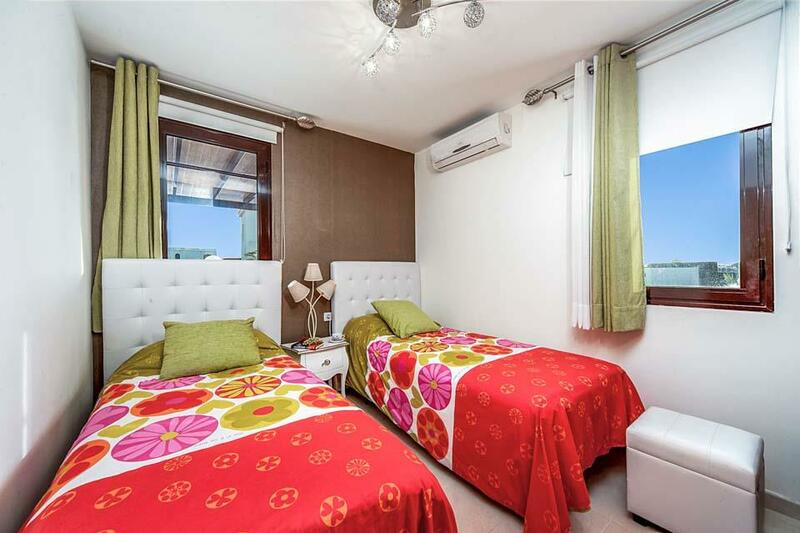 Bedrooms come equipped with air-conditioning for your comfort and peace of mind and WiFi is available too. 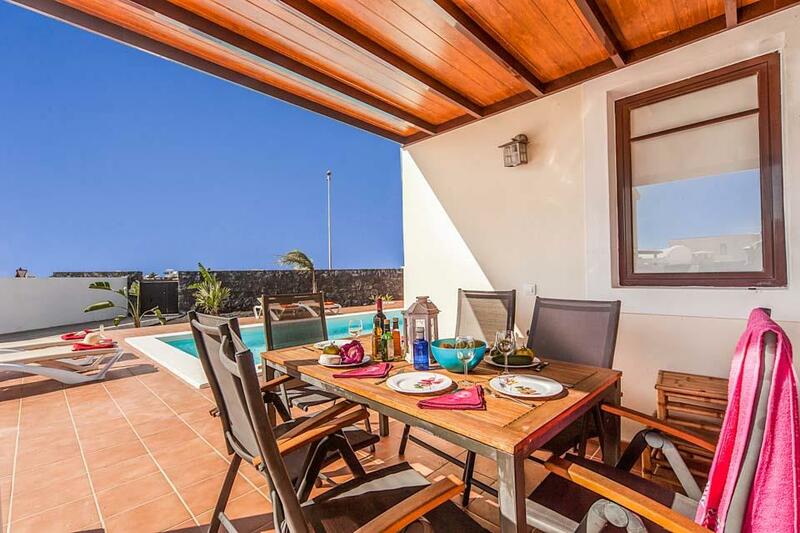 Patio doors from the lounge lead out to your outdoor living area where you and your family and friends will be spending most of your time. 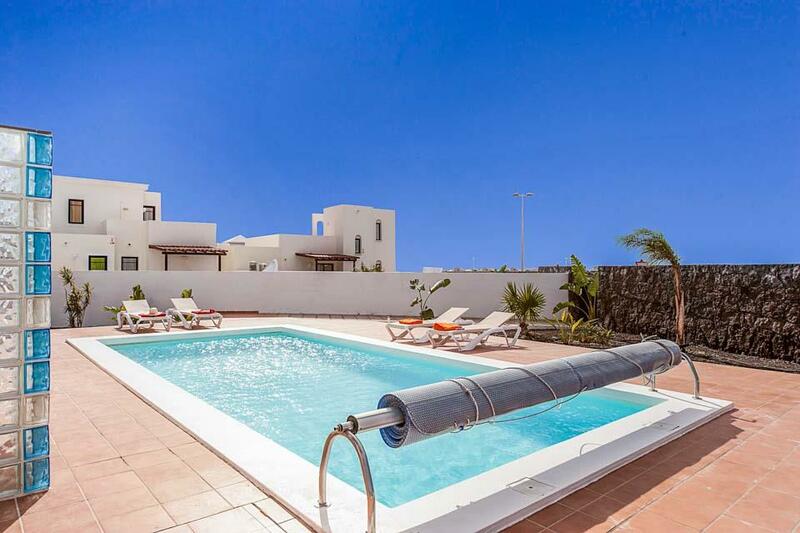 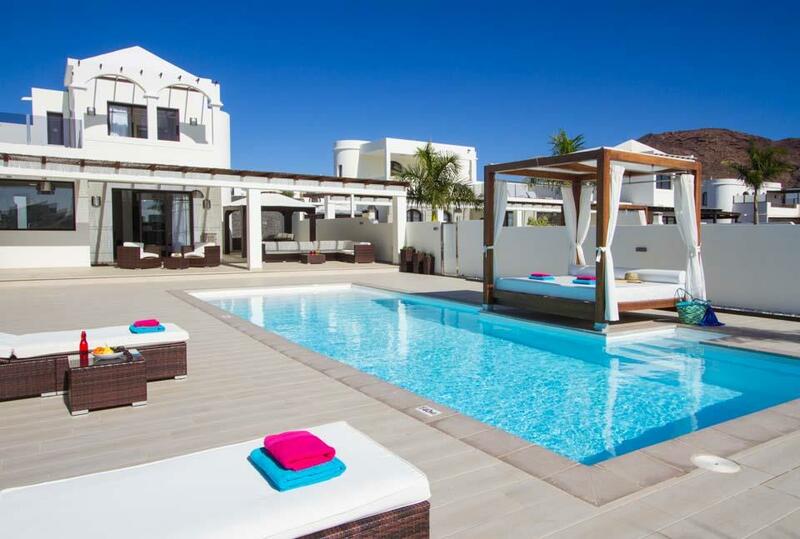 Spacious enclosed grounds with a day bed, a couple of set sunbeds with parasol and sunbeds placed around your open private swimming pool (heating included between November and April) can also be found. 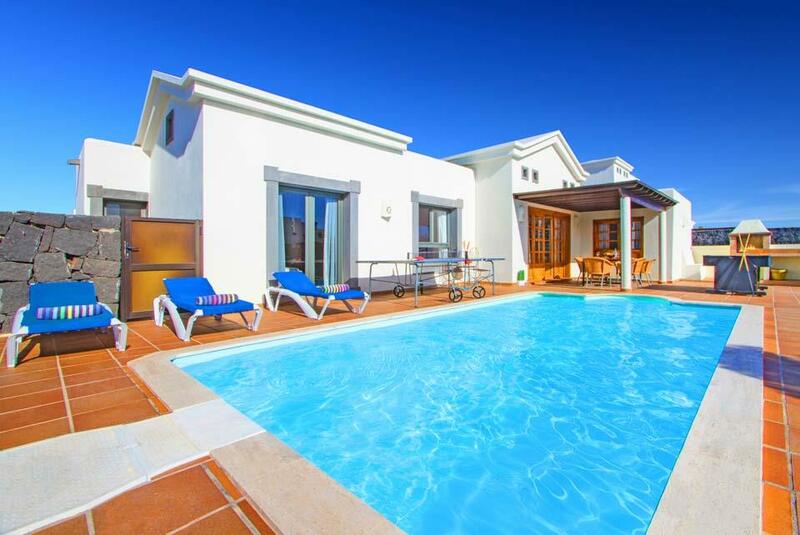 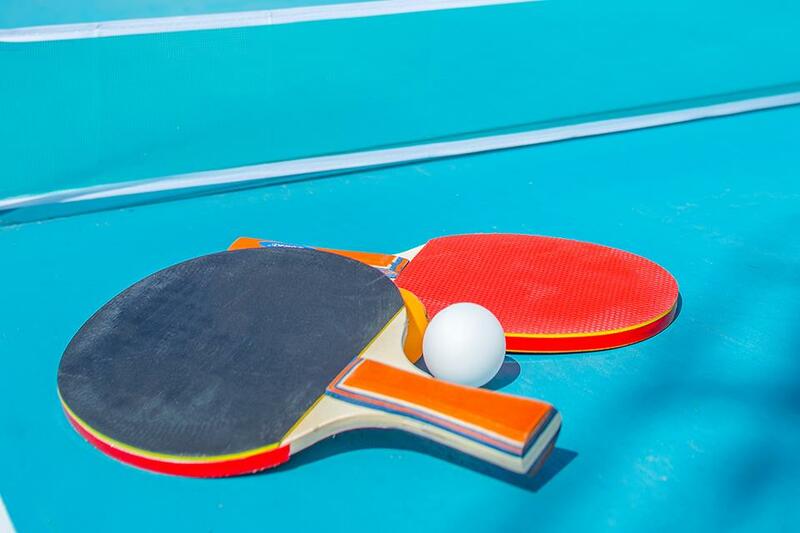 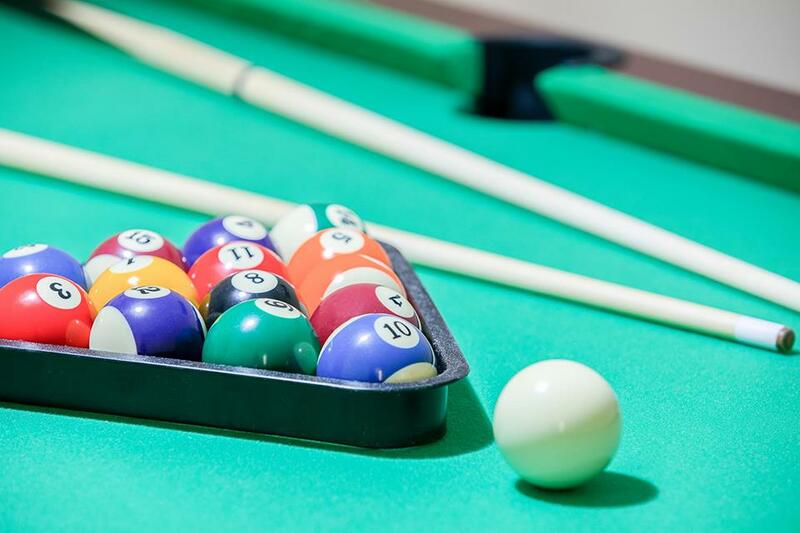 The villa also comes with a pool table and table tennis for families and friends to enjoy. 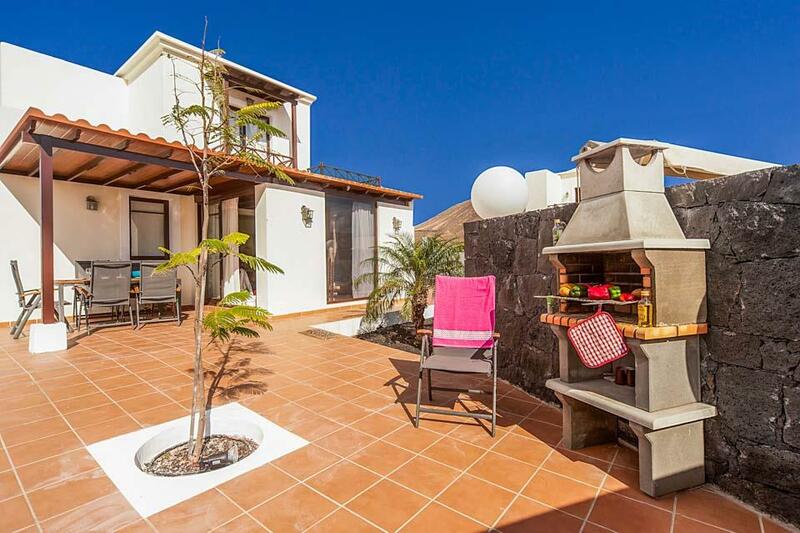 A brick built barbecue and pergola offering plenty of shade for those wanting to dine al fresco, away from the midday Canarian sunshine. 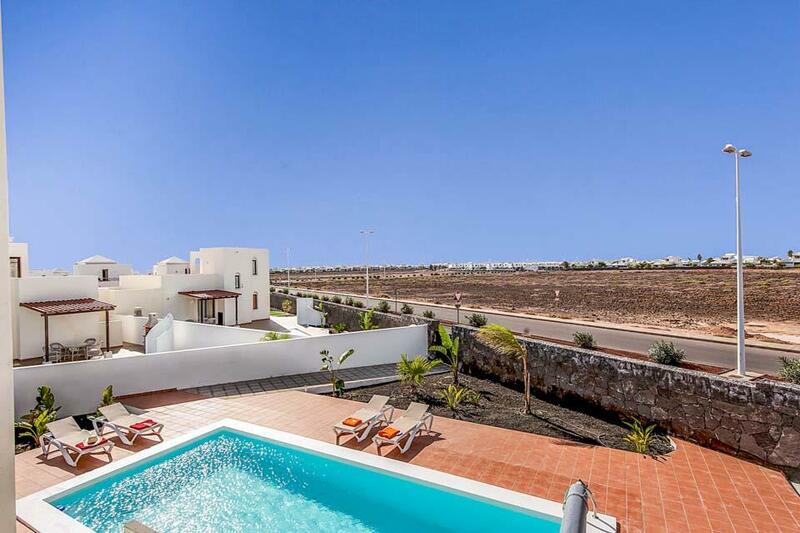 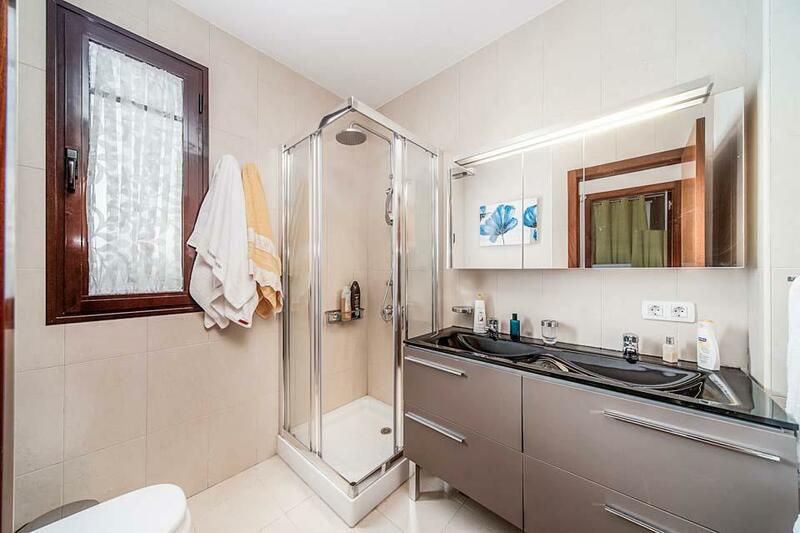 A handful of bars and restaurants in Faro Park are within easy walking distance and a regular bus service into Playa Blanca town is also nearby. 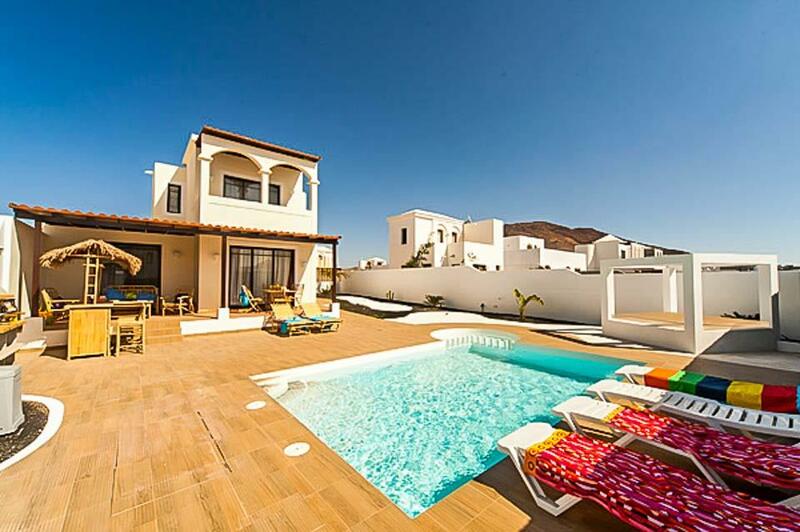 Sister villas Zafiro and Esmeralda are next door, perfect for larger groups of families and friend who want to be close together.